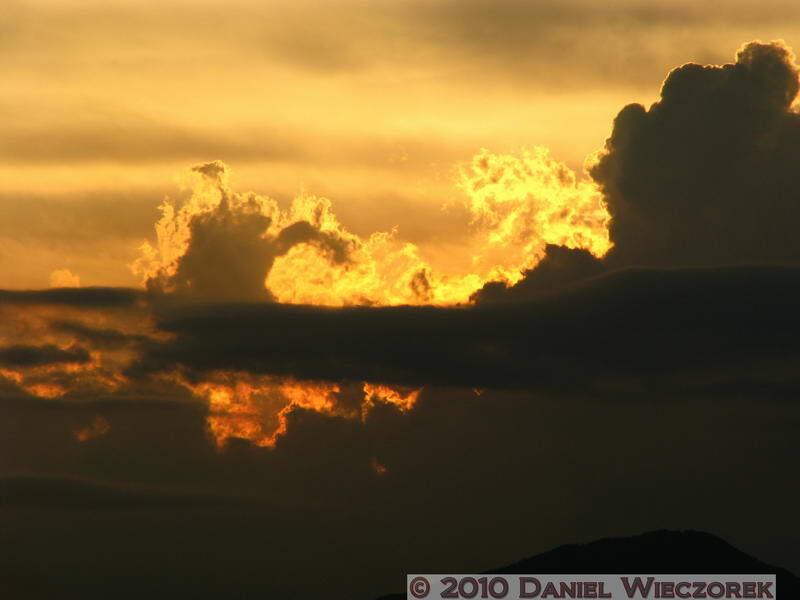 This is Page 4 of 4 - the best of August 2010! 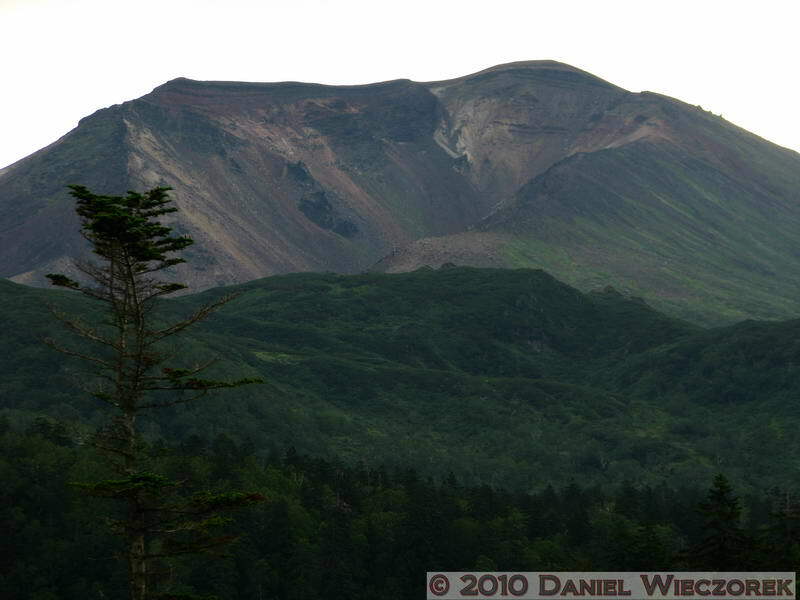 This page begins with August 11th - coming home from the Vacation on Hokkaido, The Alaska Of Japan. There are only 5 photos from the journey home, although it occupied August 11th, 12th and 13th until 3:30 PM. 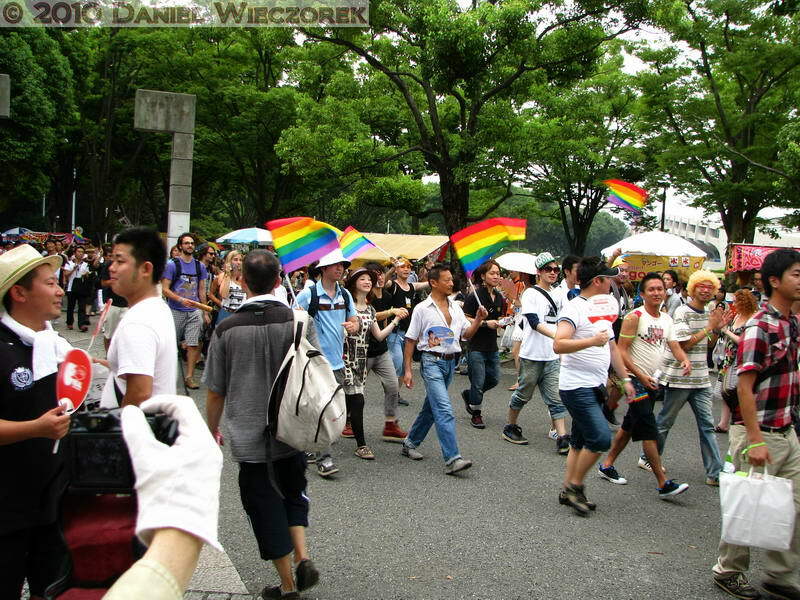 The next event is a trip to the Tokyo Pride Parade & Festival. This page ends with a trip to Fujino Hot Spring on my 63rd Birthday (August 28th). Click on any thumbnail to begin. On August 11th we had to head for home, although as it ended up we could have stayed for another day. We got up at about 5:30 AM, went for a soak in the Youth Hostel's Hot Spring, ate their breakfast and then packed up and hiked up to the bottom of the Ropeway, which was where the bus stop was. The first photo in this row was taken at 5:16 AM. Looks like it may be a nice weather day, eh! Well, that's wrong, sorry. By the time the bus came at 11:10 AM it was blowing and raining so hard that the Ropeway had been shut down for the day. 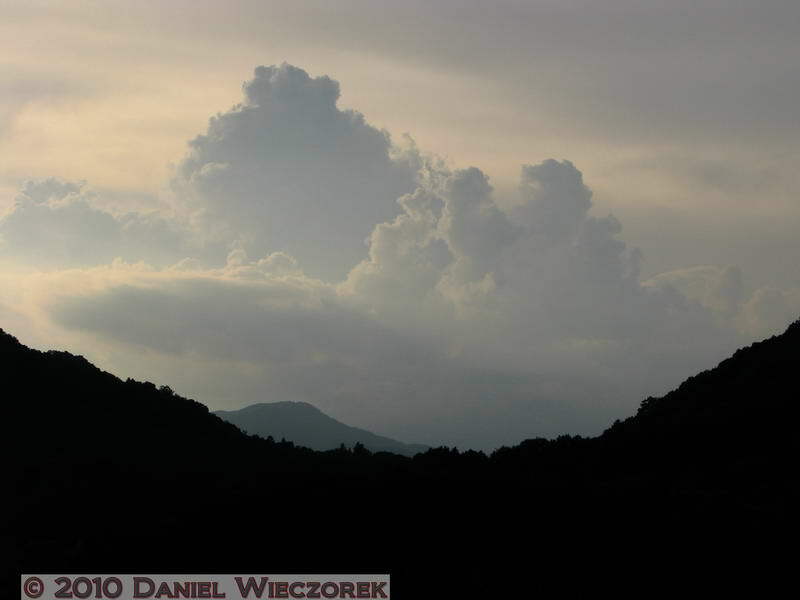 A Typhoon was coming in, a very rare happening for this part of Japan. This typhoon hit South Korea and then headed east through the Sea of Japan and then went across the northern portion of Honshu (Japan's main island). The effects were felt very strongly on Hokkaido. 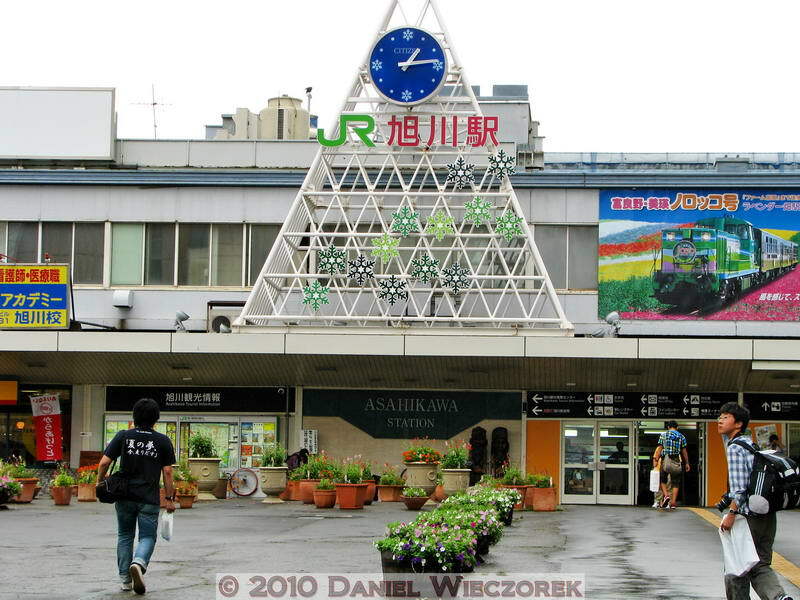 Our bus did get us to Asahikawa Station, as we planned (The 2nd photo). Then we even managed to get a train down to Sapporo Station - again, as planned. The next part of the plan was a night train from Sapporo, on Hokkaido, to Aomori on Honshu. They let us board the train and they said it would be delayed in starting by 40 minutes. Well, the train ended up being entirely canceled and we spent the night in Sapporo Station. They allowed people to sleep overnight on the unmoving train, but that was not comfortable, so we chose to sleep in Sapporo Station proper. 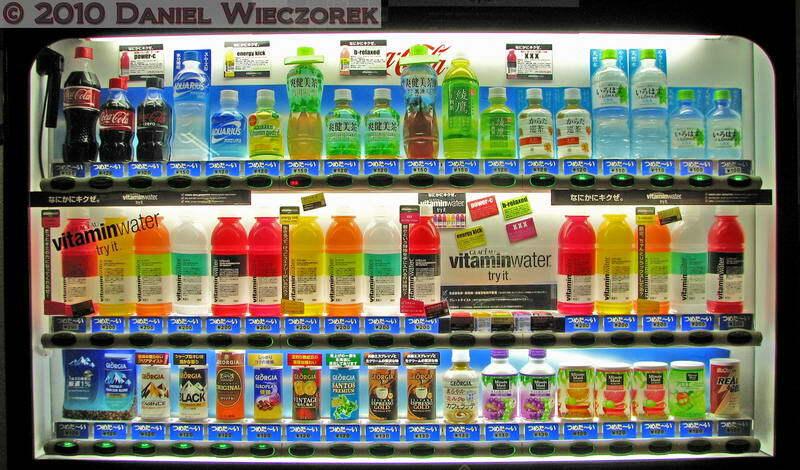 The 3rd photo is one from the middle of the night - a huge soft drinks machine in Sapporo Station. The next morning we saw on TV why our train was canceled - the train tracks from Sapporo to Aomori were under water! The typhoon had hit! We managed to get under way at 12:22 PM on the 12th - that was the next train headed south. It went as far as Hakodate (still on Hokkaido). 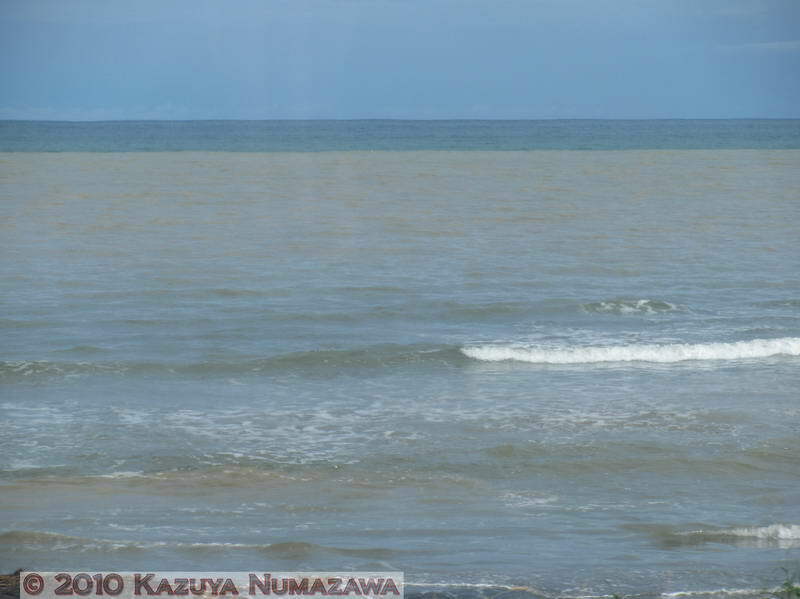 The first photo shows the amount of muddy runoff into the ocean due to the heavy rains from the typhoon. From Hakodate we took an express train headed for Aomori and by 10:36 PM we were finally at Hachinohe on Honshu Island. We stayed in a 24 hour Hot Spring - it was cheap and funds were tight. We had to pay for trains which we had not planned on paying for. We had a special ticket and we could not use it on some of the trains which we were forced to take due to the cancellation of the night train from Sapporo to Aomori. Well, anyway, we slept in the Hot Spring in Hachinohe for the night and the next day (August 13th) we continued onward at 6:28 AM from Hachinohe Station. When we got to Sendai I took a Shinkansen the rest of the way home and Kazuya detoured to Yamagata to visit his brother. I arrived home at about 3:30 PM on the 13th. 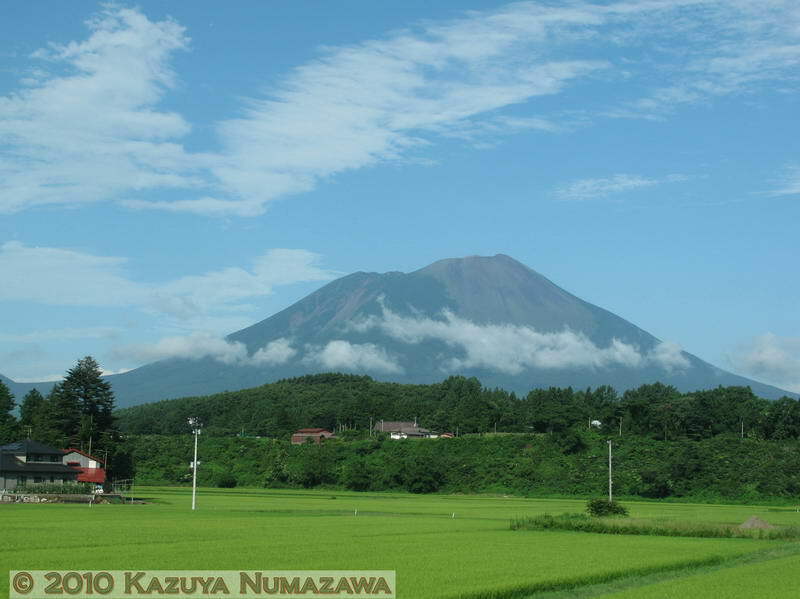 Oh, the 2nd photo in this row was taken from the train between Hachinohe and Sendai - it is most likely Mt. 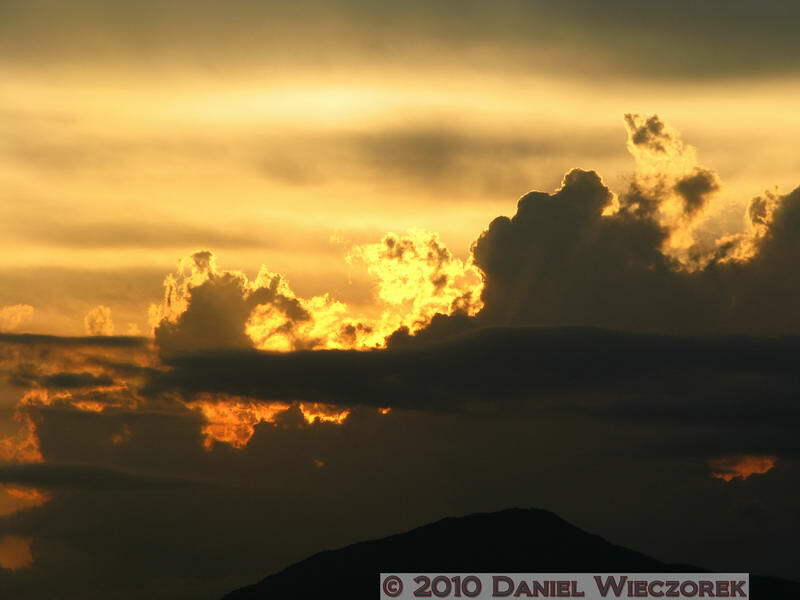 Iwate - in Iwate Prefecture. 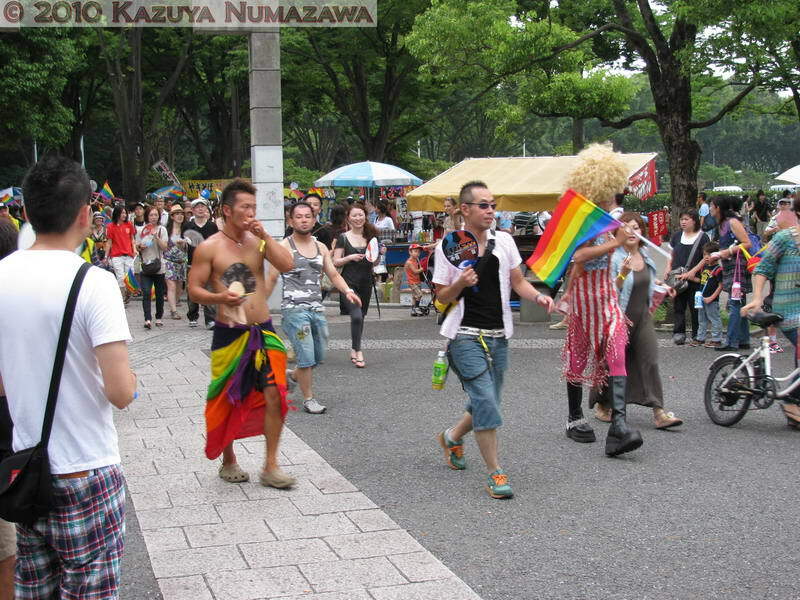 Kazuya arrived home at about 10:00 AM on the 14th - as he had planned to do - and we got ready and went to the Tokyo Gay/Lesbian Pride Festival and Parade. We marched in the Parade, as we have every year that there has been a parade. The first photo in this row shows the people lining up to begin marching in the parade. The 2nd and 3rd photos show people finishing the parade and coming back into the Festival grounds. We were with the 4th float and there were 12 floats (I think), so we were back on the Festival Grounds earlier than 8 other groups and we could take lots of photos of the other 8 groups returning. On my 63rd Birthday - August 28th - I selected to go to Fujino Hot Spring. I was hoping that it would be cooler there than at home, and it would be relaxing. So, Kazuya and I took a train from our local station (Musashisakai) out to Takao and then transferred to a train to Kofu and we got off at Fujino. 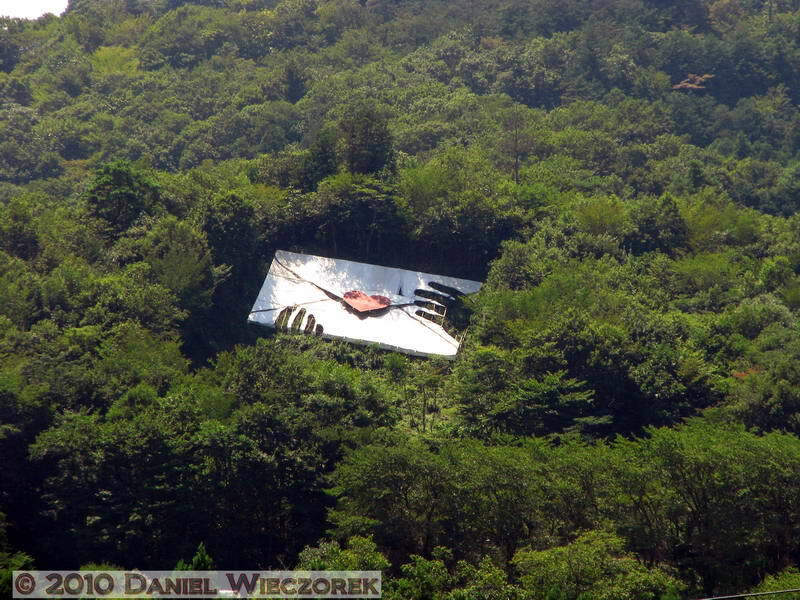 At Fujino there is a huge love letter on the hill overlooking the town - I don't know why, but here it is (first photo). From the Fujino Train Station there is a free bus to Fujino Hot Spring. The Hot Spring is actually an "open to the public" portion of Fujino Hot Spring Hospital. I don't know what ailments are cured by a Hot Spring, but... The 2nd photo shows the general mountainous area where the Hot Spring is located - in the middle of nowhere - you can see why I was hoping it would be cooler than at home (it was cooler too!). The 3rd photo shows the front of Fujino Hot Spring - the part which is open to the general public. From the balcony of the public area of the Hot Spring you can look at the Hospital Portion. The first photo is the hospital. Must be several ailments which are cured here - it's a pretty large complex. For the entry fee of 850 Yen one can bathe for 4 hours without extra charge. They also have relaxation and eating rooms and of course a restaurant. We generally bathe and then soak for about an hour and then eat a snack. Then we usually relax and siesta for a while and then back into the hot pools and then finish up and have a final snack before we leave. This day was no different. There are no photos of the actual Hot Spring Pools - people don't like having their naked photos taken and therefore it is prohibited to take a camera into the pool area. This Hot Spring has a sauna, 3 different indoor hot pools and a nice outdoor pool which overlooks the mountain scenery. 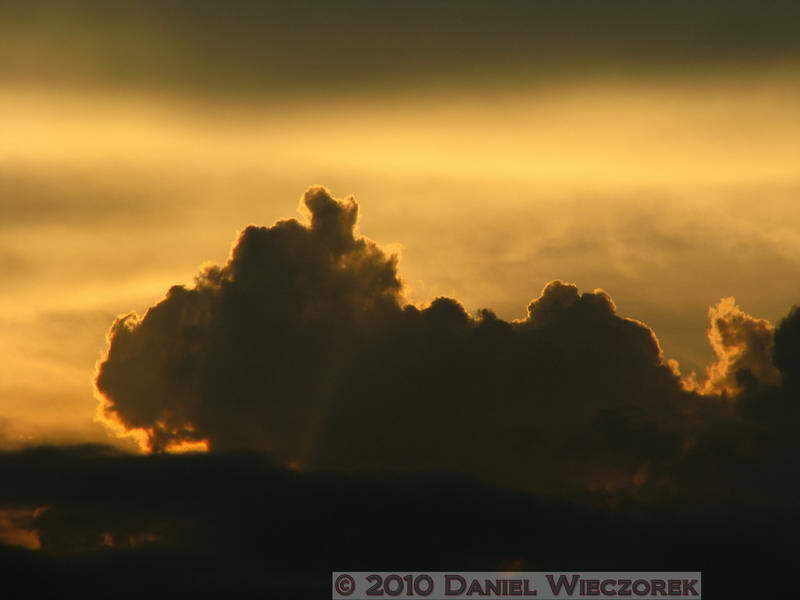 While we were waiting for the free bus to take us back to the station we photographed this nice cloud (2nd photo). 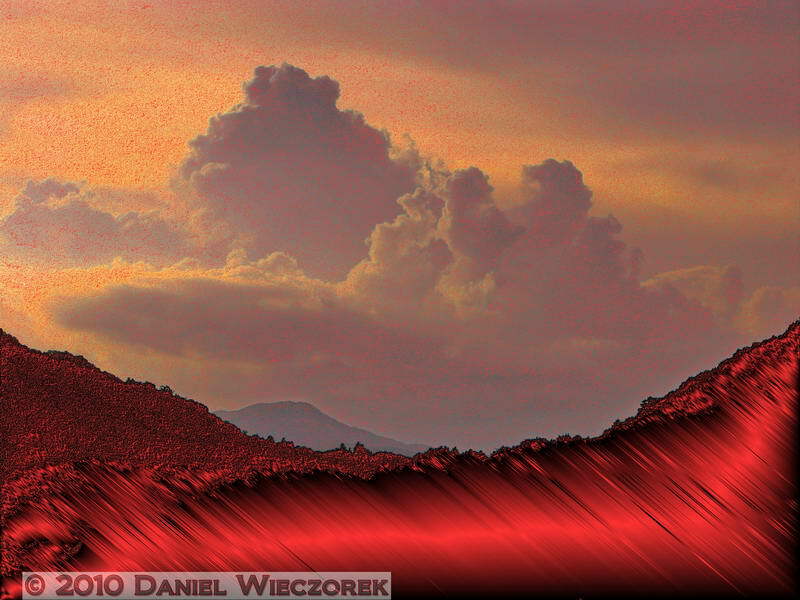 In the 3rd photo I have applied the "Sheet Metal" Effect found in ACDSee software to the 2nd photo. When we got back to Fujino Station we found it was just about sunset time. 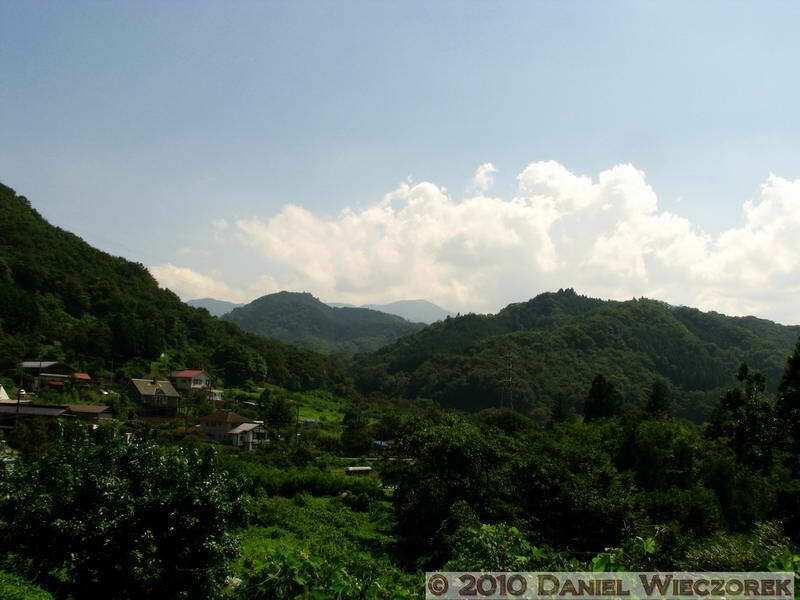 These 3 final photos were taken from Fujino Station while we waited for our train. Here are links to separate web pages. The first link shows some photos of our DVD Collection, an AVI Movie of our Home Theater System and 9 photos of our Sharp Aquos TV. The 2nd link shows our entire DVD collection in DVD Profiler (if you're asking yourself what might be good to rent for the weekend). The DVD's will be sorted by date purchased. You can click on the "Title" Column to sort that way if you desire. The 3rd link takes you to a set of pages which show you the FRONT coverart of all of our DVDs.